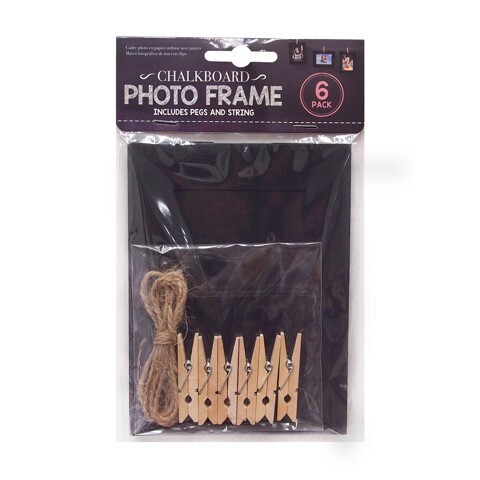 Chalk Paper Ph Frame W/Clips 6Pk. Photo Frame Size : 11.5 x 15.4cm ? Peg Clip : 4.5cm (length) ? Jute String 1m (length). Black Paper Frame ? Natural Wood Colour Pegs ? Natural Jute String Colour. Paper ? Steel ? Birchwood ? Jute. 60G Packaging: OPP Bag with Header Card.